1. Participants, Presenters, Birthday of the month. Regrets: Alfonso Sanchez, Pedro Turina, Jaime Estupinan. Presenters: Clara Estrada, Omar Rodrigues and Raul Sanguinetti. Wine #2: 2011 Tannat Reserva Bodegas Carrau. Cerro Chapeau, Las Violetas, Uruguay. $15 Rodmans. 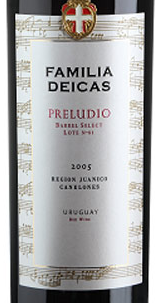 Wine #3: Preludio Barrel Select Lote 89 Bodegas Deicas. Canelones, Uruguay. This delicious Sauvignon Blanc is from the cool coastal regions of Uruguay where the weather and soil resemble the best white wine production areas of Bordeaux and New Zealand. Grown and made by a 10th generation family winemaker, the wine is picked and fermented at cool temperatures in stainless steel tanks and then given six months of “sur lie” (on the lees) contact to preserve fruit and add depth and complexity. Expert Acclaim: Richard Jennings 9/12/2013, (link) 91 points Very light yellow color; apealing, lemon grass, lime, lychee nut nose; tasty, fresh, juicy, lemon grass, lime, lychee nut palate with good acidity; medium-plus finish. Acclaim: Shannon from Wine Occasions says”: Aroma: Red fruit and spice. Taste: Vanilla and caramel. My thoughts: I haven’t tried many wines from Uruguay but this one is fantastic. I’ve also tried a few bad Tannat wines so it was a pleasure to taste this one. Tannat is originally a southern France variety and makes a very tannic wine. Made in Uruguay, it is lighter in body but full of flavor. The Carrau family wine business started in Spain in 1752 and added Uruguay in the 1930s. Nice red wine for when it’s slightly cooler, say low 80s. I’d like to try some more of their wines too. Attractive garnet with a fresh nose of ripe rich red fruit scented with vanilla. On the palate, more ripe fruit, with many layers of flavor. A chewy wine that can pair well with meat. Preludio was traditionally made with five grape varieties, Tannat, Cabernet Sauvignon, Cabernet Franc, Merlot and Petit Verdot. The 2002 vintage we included, with barely 2%, a sixth variety: Marselan. * Following time honoured traditional methods, the wine is bottled without filtering in dark glass bottles with natural corks. The wines are then returned to the same cellars for a few more months and stored on their side in special racks for each vintage allowing them to further develop in the bottle. *This is a wine for laying down, as it will continue to develop in the bottle, reaching its optimum maturity in 5 to 15 years depending on the vintage. Appearance: Bright purple with violet tones. High concentration shown by the elegant and persistent legs. Nose: Great variety of complex aromas with notes of dried figs, ripe red fruits and vanilla. Palate: Good acidity and well rounded tannins, hints of ripe fruits of the forest and a touch of ink. 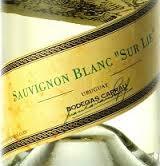 Serving temperature 18° to 20° C. (64° to 68° F.) It is recommended that the wine is decanted 30 minutes before serving. El primer vino (blanco) fue calificado como Muy Bueno con un average de 87 puntos; el primer tinto, como Muy Bueno con una Media de 89 puntos y el segundo (tinto) ultimo vino, como Excelente con una calificacio media de 90 puntos. Impresion General: Buen sabor, muy agradable y con un fresco aroma. Impresion General: Presenta un profundo color rojo, con aroma a hierbas y frutas negras, agradable sabor y un buen cuerpo. 3. 2007 Preludio Barrel, Seleccion Especial 2007. Impresion General: Gran vino de color purpura brillante, gran concentracion persistente y complejo aroma. Muy buen sabor y agradable frescura. Considerado un excelente vino entre los mejores. No summary of Uruguayan wine is complete without mention of Tannat, the robust, tannic red that has played such a pivotal role in the country’s rising wine status. 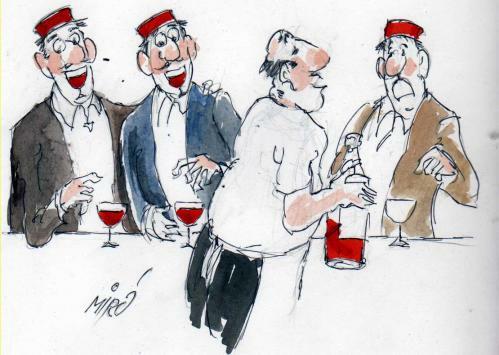 Just as Chile has its Carmenere and Argentina its Malbec, so Tannat has risen to become Uruguay’s ‘icon’ grape. The first Tannat vines to arrive here were shipped across the Atlantic by 19th-century settlers from the Basque country (the autonomous communities between southern France and northern Spain). Don Pascual Harriague is the man typically given credit for Tannat’s dissemination around Uruguay; for a long time the name Harriague was used as a synonym for the variety. The family line of those original Tannat vines has remained largely unaltered, a genetic snapshot of rustic southern French wine from that era. Modern Tannat clones brought in from present-day French vineyards have proved quite distinct, offering more powerful (if more structurally simple) wines with higher alcohol and lower acidity. It is ironic that this New World style should emerge from a decidedly Old World wine country, and that one of the world’s ‘newest’ wine countries should produce such Old World-style wines. Tannat in all forms has proved well suited to the South American climate – demonstrably better, in fact, than that at the heart of south-west France, the Madiran vineyards of which might be viewed as the variety’s spiritual home. As viticultural and winemaking techniques continue to progress in Uruguay, the ability to capitalize on this synergy will only increase, likely confirming Uruguay’s status as a reliable source of world-class red wine. The Vitis vinifera vine species is not native to the Americas, and those species that are native (Vitis labrusca, Vitis rotundifolia, Vitis aestivalis, Vitis berlandieri, Vitis rupestris and Vitis riparia) proved less suitable for winemaking than their European Vitis vinifera cousins. It is no surprise, then, that the wine grape varieties used in newly developing wine nations (of which Uruguay is a prime example) are those well-known Vitis vinifera vines that have proved commercially successful around the world. Thus Bordeaux varieties Cabernet Sauvignon, Merlot and Cabernet Franc head up the ‘dry red wines other than Tannat’ category, while their light-skinned equivalents Chardonnay and Sauvignon Blanc are behind most of Uruguay’s modern-style dry whites. Aromatic Viognier is also increasingly popular among Uruguayan vignerons, as it is in Chile, Argentina and many other parts of the world, notably California, eastern Australia and New Zealand. Underpinning the development of Uruguay’s quality wine production is a significant quantity of bulk rose wine, made mostly from Black Muscat (Muscat Hamburg). Behemoth Brazil, immediately to the north, has traditionally been a key export focus for Uruguayan wines, although as the quality improves, doors are opening all over the world market. The majority of Uruguayan wine is made from vineyards in the south of the country, in the Canelones, Montevideo and San Jose departments. There are small patches of viticultural activity all around the western periphery, along the border with the Entre Rios province of eastern Argentina. There is even one notable outcrop in the northern Riviera department, at Cerro Chapeau, just across the Paraguay-Brazil border from Brazil’s Campanha wine region. The distance north to the next Brazilian wine region beyond Campanha (Serra Gaucha) is some 275 miles (445km), roughly equivalent to Uruguay’s entire width; the differences in scale between Brazil and Uruguay are hard to overstate. seran de interes de los miembros para la degustacion del proximo martes 27. Tasting #156 June 30 – Wines from Greece: Aghiorghitiko and Xinomavro or other. This entry was posted in General, Meeting Abstract, Wine - Vino - Vinho, Wine Regions and tagged Carrau, Deicas, Tannat, Uruguay, Ururtia, Vigonier. Bookmark the permalink.